1. What countries border the Aral Sea? 2. 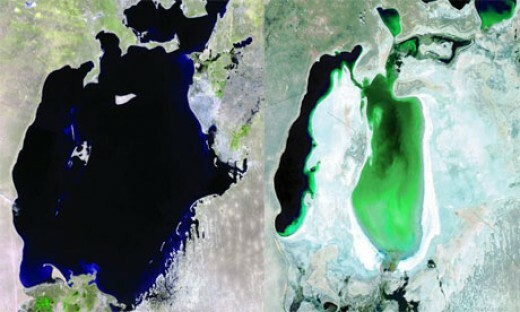 Describe the natural hydrologic cycle of the Aral Sea environment (i.e., where does it get its water from). 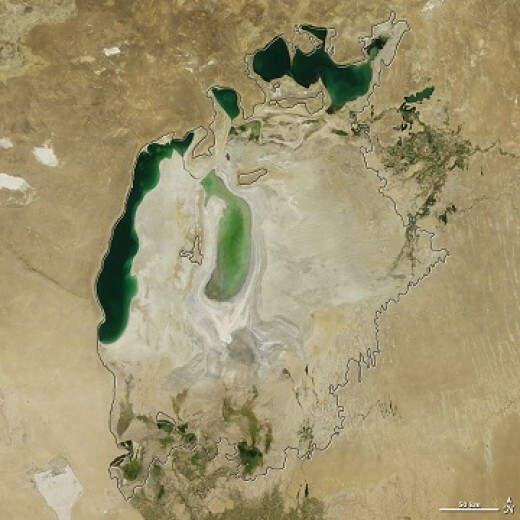 The Aral Sea receives water from two major rivers, the Amu Darya and the Syr Darya. In the early 1960’s these great rivers brought approximately 50 cubic kilometers of fresh water per year. Starting as early as the 1980’s, the amount of water coming from the southern resource of the Amu Darya was nil. The image to the left depicts the sea as it is today. The black outline shows us the shoreline of the sea before the irrigation project began in the early 1960’s. Below is a timeline of the past decade of events. 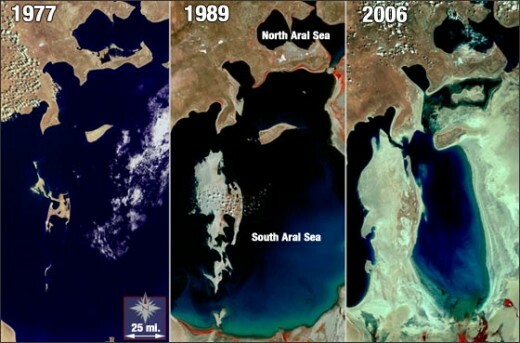 As one may notice, the Sea has been gradually filling up again; some Chinese researchers who have been working for the Aral Sea restoration project say it has grown 30 percent in the past three years. 3. Why is the sea now shrinking? 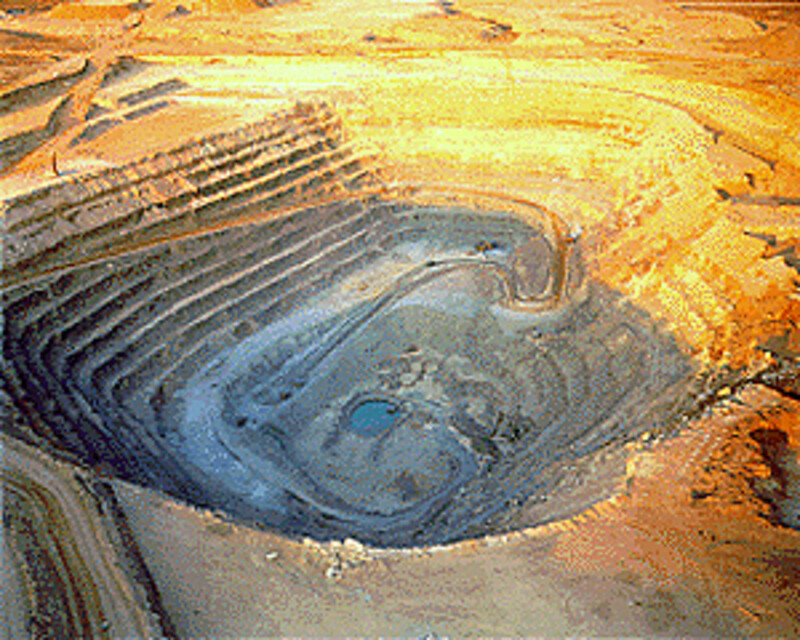 A major water diversion project for irrigation of cotton crops; started during the 1960’s by the Soviet Union. Before the Agricultural revolution, something must have provoked humans into creating a farming technique. Possibly a situation of isolation occurred and our ancient relatives were forced to find a way to defend themselves against the havoc of their environment. Or maybe our great ancestors fell upon an invasively controlling idea that taking things into their own hands, as the “dominate species”, was their best bet. Either way the beginning of the Neolithic period was the marking of a new way of life. With the introduction to farming, irrigating and modifying the land to however humans see fit, a path formed of man against nature. As we drifted further away from our natural environment, and further into our controlled environment, the world around us began to “give us a piece of her mind” so to speak. 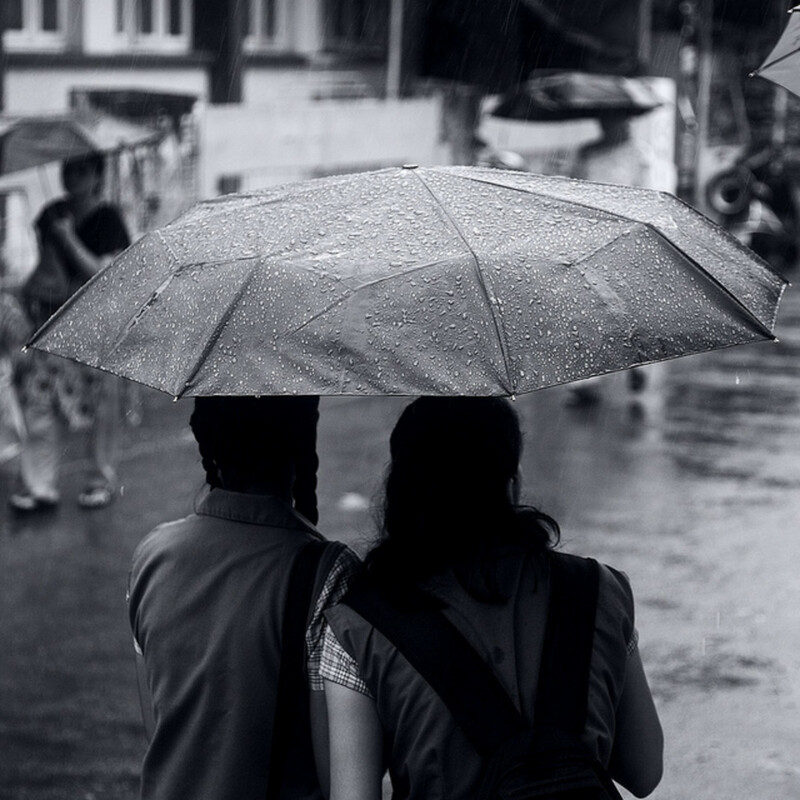 Through changes in the hydrological cycle, the ecosystems and habits of other life forms began to let us know what was okay and what was going to make them go away. 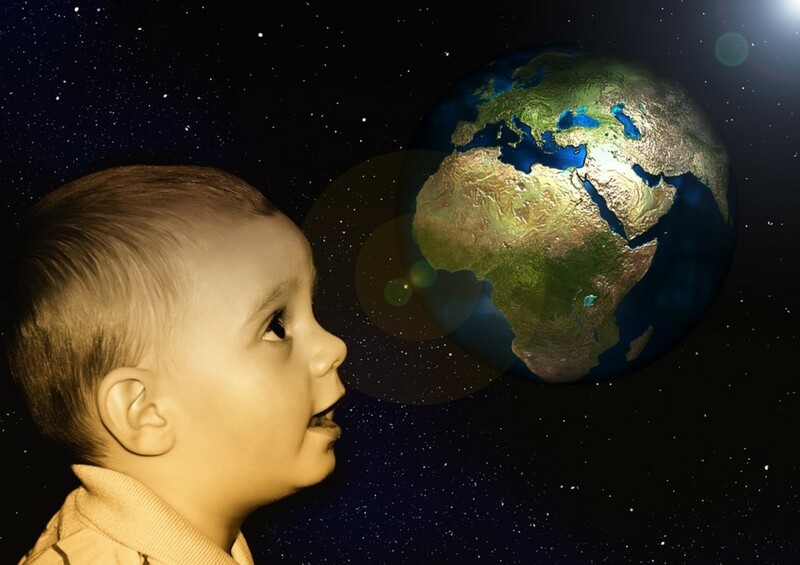 Since our first steps we have gained a lot and found that some of what we were doing was only bringing us backwards; thus, an era of the great 70’s brought forth an awareness of environment and since then a great many changes are being made to bring us closer to a lifestyle of coexistence with nature. 4. What have been the environmental and economic effects of the shrinking sea? 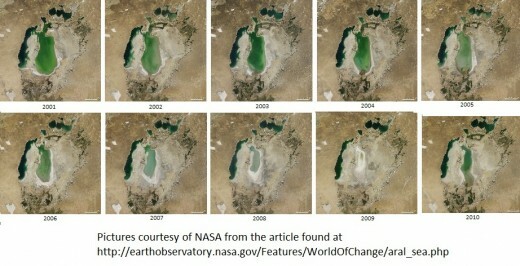 The Aral Sea was once the fourth largest lake in the world, now more than 60% of that lake has disappeared. 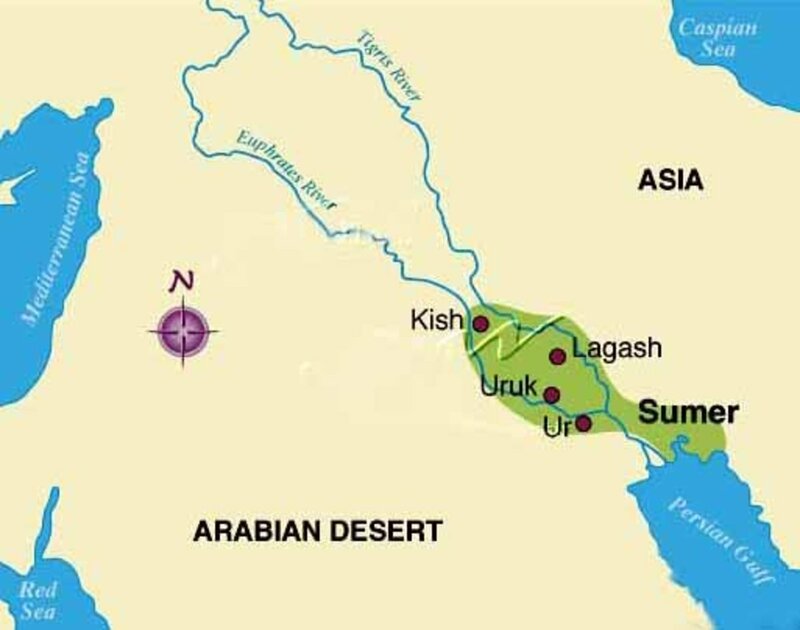 When water from the Amu Darya and Syr Darya was diverted to support irrigation for the region’s extensive cotton fields, the hydrological balance of the area became offset. More water was leaving the region than was coming into the region, resulting in a shortfall of resources for proper growth of vegetation; the life support by which such a great ecosystem depends on. The decline in groundwater levels for the Amu Darya and Syr Darya deltas contributed to a piling up of salt at the surface. This increase in salt content brought a change in vegetative cover (to handle the higher levels of salinity). As a result, vegetation was reduced by at least 40%. A side effect of the decrease in vegetation cover was the loss of a shelterbelt or protective plant life resource. Thus, with intensified winds leading to more dust storms in the area, air and water contamination occurred; leaving the sea with less and less oxygen for fish and plant life to survive on. 60,000 people strong, was eliminated and six million hectares of agricultural land was destroyed. The waters were polluted with fertilizer and pesticides; the lakebed was exposed and contaminated with agricultural chemicals, putting the general public into a local health hazard. 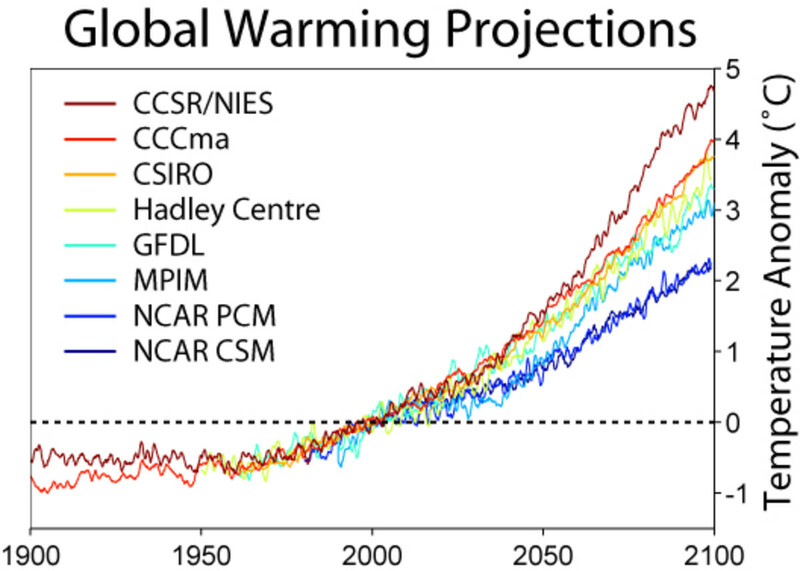 Winters grew colder and summers- hotter and drier; as the sea lost volume, its heat capacity was reduced, therefore it began to warm up and cool off faster than ever before. The surrounding area felt the effects also; not only were people forced to relocate due to health concerns, loss of jobs, and various other reasons, degraded soil meant the croplands had to be flushed with larger and larger volumes of river water and weather changes brought a shorter growing season. 5. Was this a good idea? It may have been, though it was a bit invasive; showing a complete disregard for the people and wildlife that once thrived in such a community, considering it was their home and place of work. The Soviet Union took a place of peaceful living and productive service and pushed those away who enjoyed this ecosystem, turning it into an uninhabitable land; all in an attempt to acquire greater sales in the cotton industry which, in turn, resulted in even more trouble for the growth of their crop (in regards to water supply and how much was needed for proper growth). 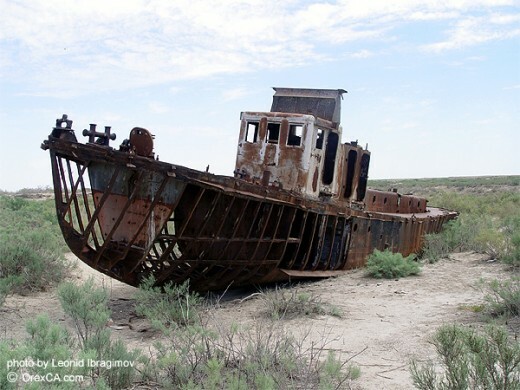 The positive side is that historical monuments of abandoned ships, content in their voyage along the once great Aral Sea, remain present.